HTC sold a whopping 13.2 million smartphones in Q3 2011 – 93 per cent more than it did in the same quarter last year and nine per cent more than the previous three months. The Taiwanese giant showed its growing influence on the mobile phone market with a string of high profile releases which have helped it record a post-tax profit of NT$18.68bn – which equates to around £391 million. The outlook for the next quarter is more cautious, with HTC predicting that it will sell between 12 and 13 million units – which would nevertheless be a 31-42 per cent increase year-on-year. "HTC's diverse product offerings, expanded distribution network and growing global brand recognition, have helped the company deliver a quarterly revenue of NT$135.82bn in the third quarter of 2011, resulting in after-tax earnings of NT$18.68bn and EPS of NT$22.07," said a statement from HTC. 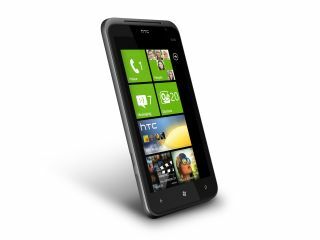 HTC will be looking to handsets like the HTC Titan and the HTC Sensation XL to perform in the coming months. The Taiwan giant has worked wonders in converting itself from a largely white-label manufacturer to a powerful tech brand in its own right.